It's Swiss made, but it's definitely far away from being cheesy: Rumours say that when this band got together in the late 90's for their first rehearsals even the cows on the mountains around have been shaken so much that they gave butter instead of milk. Which should be no wonder at all: Coming from the canton of Bern these guys are – so to say – born in a world of rock. The talent to climb up onto every mountain's top is part of their life and forcing them to move on. And it's keeping them down-to-earth, expanding and unique – all at the same time. Strong, hard and solid rock music has been their trademark since they played their first tone. Already their self-titled debut-album (which was released in 1998) could make a great impression on the music listening world. Though their sound is very straight, no one ever dared to use words such as "old fashioned" when describing Shakra. Yes, you can even call them a groove machine, this pulsating power keeps everything going. These guys, and that has been obvious from the very beginning, are what they are - as simple as it is. And they exactly know what they want. Consequently they've been going their way upwards since then. Without getting exhausted at all. When in 1999 their second album "Moving Force" was released, everyone was already waiting for it. Tours with Great White or Uriah Heep were following, as well as (a third and) a forth album "Rising", which could even enter the Swiss and German sales charts. 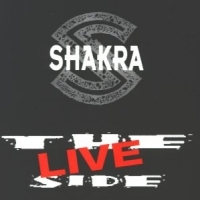 Together with the radio hit singles "I Will Be There" and "Anything", taken from the album "Rising," the chart entries have been the biggest success for Shakra, and a proof, that consequently high quality and hard work are a damn good mixture. “Rising” has also been the first album with Mark Fox as a new singer, replacing the old one Pete, who had to quit his job due to health problems. And with Mark the band is still moving upwards. 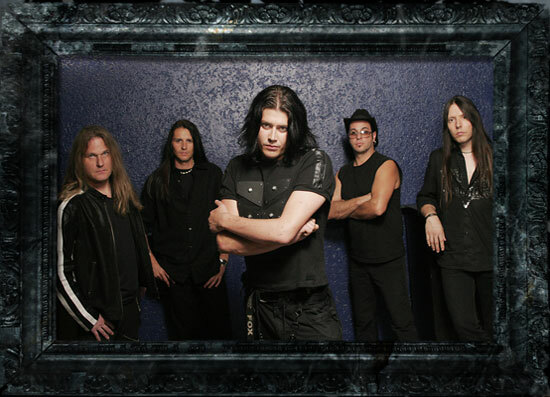 Unlike most other bands who experience a serious breakdown as soon as a vocalist leaves, Shakra remain standing solid. Mark fits perfectly in and gets even more accepted than Pete by everyone. From the first moment on. So over the last months the band has been working on new songs for their fifth album “Fall”. It promises to be as strong and solid and 100% Shakra as it has always been the case with this band `s music. Again, the quality “hand-made” is written in CAPITAL letters. While other bands start to act like rockstars as soon as their success is growing or give up their passion for really working on the songs, Shakra still do everything on their own – the songwriting, the studio work, the moving forward. And Shakra still put so much passion and strength in it that you might not believe this band `s been around for such a long time. “Fall” – the first release on the new label AFM Records - has become another outstanding, charismatic album, sounding fresh and grown up at the same time. Another chapter in the mountain climbing, upwards moving career of a band that from the beginning on has been much more than a music industry `s hype. 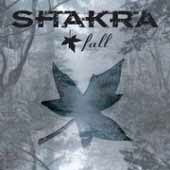 “Fall” has become the next step on Shakra `s consequent way to the top, and the album title doesn't represent the current status of the band at all. Spring would have been a much better pick then. Nevertheless the band could prove their live qualities at this year `s Sweden Rock Festival in front of 10.000 people, as well as on this year `s Swiss Spirit Of Music Festival as a support of Iron Maiden. Perfectly matching to the album `s title an extended European tour in fall will follow. So be aware of the cows all over Europe – milk might be a rare good as soon as our Swiss guys start to rock!